"I tell myself I don't know nearly enough, it keeps ME constantly CURIOUS to learn more, so I never pass up an opportunity to grab new information, find new lessons or learn new skills. NEVER!". ﻿Are you an Established or Aspiring Writer, Blogger, Podcaster, Author, Musician, Actor, Media Personality, Web designer, Graphic Artist, Singer, Film-maker, Independent Publisher, Advertiser, Digital Content Creator, Editor, Radio Host, Social Media Marketer, Fashion Designer, Painter, Photographer, Social or Creative Entrepreneur looking for the the most cutting-edge techniques, strategies and hacks to take your creative business to the next level? Are you hiding your amazing gifts or covering up your talents? Are you afraid to REVEAL your creative SUPER POWERS or even share your brilliant ideas with the world? Are you still doing the same ole thing and expecting NEW results? Are you tired of constantly putting out fires in your art/business? Maybe you’ve tried to start new projects to improve your results, only to abandon them halfway through... due to lack of time, or the right system and resources to get them done well. What CREATIVE strategies are you applying to tilt your ideas, skills and talents over that of your competitors? What are you doing to step out of the box, out of your comfort zone, out of the back stage and into the spotlight? NAKED and ready to reveal everything you are capable of achieving. NOW, This is a CHALLENGE...And we DARE you to RE-INVENT your strategies and make one small move that will impact your growth immensely, and turn around your creative ideas and business for good. This year, Nigerian Actress, Media Personality & Self Help Mentor - Alex Okoroji with THE NAKED CHALLENGE hits goal setting in 6 days of powerful LIVE virtual conference with top 25 Speakers from USA, UK, Canada, Nigeria, Republic of Benin, Australia who are Global Creative Influencers, Award Winning Media Personalities, Content Creators, Creative Entrepreneurs/ Industry Leaders in a virtual gathering of creative minds from around the world online... to educate creatives, looking to forge a new career path or re-invent their on-going careers in the digital era – from how we create content, to how we build an authentic brand, choose the right platform, find our audience, distribute, monetise and promote our work. Join us for 6 days of killer keynote presentations, insightful interviews, start up ideas and networking with industry leaders & creative experts from around the world who are challenging themselves, earning their bragging rights and shaking up the creative system. We've carefully crafted an iincredible lineup of speakers who are prepared to arm you with new strategies, insights and know-how to take your creativity to the next level. Day 1: "Re-invention of Self, Mastering The Art of Writing & Blogging..."
Day 2: "Re-invention of Self, Mastering The Art of Podcasting..."
Day 3: "Re-invention of Self, Mastering The Art of Self Publishing/Independent Authorship..."
Day 4: "Re-invention of Self, Mastering The Art of Web Design, Graphics, Digital & Social Media Marketing..."
Day 5: "Re-inviting of Self, Mastering The Art of Music, Film & Television..."
Day 6: "Re-invention of Self, Mastering The Psychology, Branding, Promotion & Management of Creativity & Intellectual Property..."
Its an online platform to WATCH live video conversations, shows or podcasts with multiple participants/guests and interact with others around the world in real time." WHY VIRTUAL EVENT? (ONLINE) - Well, for a physical conference, you the attendee, will have to spend thosands of top dollars on flights to travel around the world to meet any or all of these amazing Influencers. But we bring together 25 of the BEST in one cool space. Yay! The best part of virtual summits is that, there are no flights, lodging, hotel reservations or bag packing to make. Just you in front of your computer or mobile phone from any where you are in the world, learning and networking in the comfort of your own space (and the added advantage of a downloadable recording). COOL Right?! "I found the speakers and info interesting in that four person visual format. I was really inspired. It was packed with juicy secrets wrapped inside the personal stories of each of the panelists. Awesome." Join Host - Alex Okoroji and 25 Amazing Speakers from Around The World! Hey CREATIVE, You Are Invited! Clear your calendar - It's going down! THE NAKED CHALLENGE: Creative Mastery Global Summit kicks off on July 4th, and you're invited to take part in the CREATIVE fest. Blab.im is our meeting spot for 6 days of fun and excitement. #1 – Slash Your Learning Curve: Take a Pause on What You Think You Know. Information is Constantly Changing - Discover Years of Business Building Strategies on Content Creation, Book Writing & Self Publishing, Podcasting, Blogging, Vlogging, Web Design, Graphics, Film, Music, Branding, Management, Copyright, Social Media Marketing & Creative Entrepreneurship -- Directly From People Who’ve Done It & Mastered it! Most people spend years upon years trying to “figure it all out” — and then settle for a fraction of the success they deserve or maybe even give up trying. Why waste time experimenting, when you can learn directly from people who’ve done what you want to do… And have earrned their bragging rights. The speakers I’ve hand-selected (all of who I greatly admire and respect) will empower you, by teaching you what really works… so you can reinvent your strategies — and use it to grow a 6 figure income. Although most conferences/ virtual summits cost thousands of dollars, I’m gifting you at a price for almost nothing - because I understand the economic issues and I want to STRIP your excuses and give you the opportunity to take this challenge no matter your level, at very little cost to you - With everything to gain, because INFORMATION is power. But you must GET your ACCESS PASS now because each ticket goes right now for only $10 (Regular) and $25 (VIP All Access) for the LIVE summit + Your FREE downloadable recording of all events for the registrants (even if you miss the live sessions). + all Presentation Slides, Work Book & Special GIVEAWAYS. I'll even throw in THE NAKED CHALLENGE 101 Webinar Tutorial Video: "From Idealist to Realist..." + E-Slides with 10 solid strategies to motivate you to take your GOALS from dream to REALITY . 3) Don't bother about taking any action at all. IGNORE this...and wish 8 months from now that you had taken a leap of faith and invested that money you spent on shoes. Truth is life will continue - Those who attend will GROW (that's a definite) - those who don't, will have to figure out their own career challenge, somehow. I promise you - No boring preachy talking heads! You get to see the expert speakers LIVE in real time as we delve into some real, raw, funny and authentic conversation about CREATIVITY, in-depth niche topics affecting your craft, art business, with instant takeaways and actionable advice you can use and apply immediately. Believe me, this creative fest is going to be a BLAST. Monique is an inspirational thought leader who inspires over 200,000 followers daily with her motivation, advice, insights & lifestyle tweets at #RiseRegardless. She knows how to overcome challenges no matter what & how to build a cult following on Twitter. She has interviewed many interesting personalities as a film journalist. This Trademarked Ambassador of Happiness is an Author, Podcaster, Huffington Post Blogger and World Traveler. Taking a “Living Happy – Inside Out” mantra, she's also become an International Speaker on topics of Leadership and Influence. Featured in over 100 media outlets including Britain’s BBC and NBC-TV. Blind yet driven, Maxwell is an Ambassador for the term - "No Excuses", Probably the world's most famous blind blogger who is prolific for guesting on over 200 international shows & leading many out of darkness with his journey, trials & inspiration to people across the globe and is the author of two amazing books. .
SisiYemmie is one of Nigeria's best. A highly gifted blogger & food lover with 6 years blogging experience and over 4 million visits to her credit. She has worked with some of the best brands & likes to reinvent her blog...shares amazing lifestyle, food, fashion & makeup tutorials to over 20,000+ YouTube Subscribers. With his Podcast, Creative Magic Unchained, Frederic channels his passion for arts & entertainment. He interviews bestselling authors, TED Talks speakers, and business experts like Donna Mcdonald, Corey Huff, and Debi Silber. And uses his own journey to motivate his audience to a bigger, richer life filled with CREATIVITY and purpose. Frankie was voted one of the TOP 50 Great Writers to read in 2015. She's the Host of the Award Winning Radio Show -MISSION UNSTOPPABLE and Frankisense & More. A Painter, Author, Coach and Social Entreprenuer who uses her popular socially conscious radio network - THE GOOD RADIO NETWORK to support initiatives around the globe. Host, AME Radio, Artiste & Founder of AME Experience. Jason is the founder of "The AME Experience". He hosts the syndicated AME Radio show and TV show where he interviews interesting personalities. Jason is an Internationally Exhibiting Photographer and Artist who adores art of all mediums. He is also the founder of "Imagine-Nation Art Studio". Erica is the founder of the Moms With Dreams University, as well as the creator of the MOMS WITH DREAMS Podcast, the Go-To Source for moms who are ready to create a life they love that empowers moms, one dream at a time to help women uncover their buried dreams and realize that they are able to live them as they deserve. Suzie is a best selling contemporary novelist with 10 Novels and 2 Non Fiction books on writing, a philanthropist and avid blogger. She is passionate about writing fiction books on love and life, inspiring new authors, advocating for LGBT equality, animal welfare or blogging about community awareness, positive living and taking action. Always in the creative mindset, with nine bestsellers on Amazon Kindle, Suzie continues to write about the beauty of love to the rave review of her growing fans, loyal followers and fellow authors. Terry Lancaster has been there, done that and for the last 30 years, has worked with thousands of successful salespeople and entrepreneurs, offering proven strategies for making the cash register ring. As an author and speaker, Terry spreads the message of habit, focus and flow, helping others create BETTER! lives and BETTER! businesses one step at a time. His book BETTER! Self Help For The Rest Of Us, is an Amazon #1 Best Seller with glowing reviews from around the world thanking him for his understandable, actionable, life-changing ideas and stories. Felice is the author of the award-winning book "What Papa Told Me,". Her newest book, "90 Lessons for Living Large in 90 Square Feet (...or more)", is a self-help book based on the popular video of her 90-square-foot Manhattan studio that went viral with over 12 million views on YouTube, gaining media attention around the globe. Felice writes the blog "Living Large in Any Space." What enabled Felice to "live large" in that tiny studio is that she's been a professional organizer for over 20 years. Felice also writes a series of books called The Fancy Tales (www.thefancytales.com). With a Bachelors in Journalism and a Masters in Advertising. Sandra teaches all of her clients how to maximize their lives by using the power of the internet coupled with the drive of their passions to create the lifestyle of their dreams. As the president of Motherhood Incorporated. an Author, Coach, Speaker, Radio Host, Entrepreneur and Philanthropist, creating a virtual empire of successful companies entirely staffed, managed and implemented using a host of virtual assistants and on-line resources.She is a powerful voice in the Social Media Arena as a popular Internet Brand Strategist. Madison known as Media's New Queen, is specialized in digital marketing, with over four years of internet sales experience working campaigns for major companies like Lifetime Network, Maybelline, WBLS, Hot97, and many more. She has also worked with & interviewed some of the industry’s elite, including Steve Harvey, Swizz Beats, Oprah, Beyonce, Sean Paul, Michelle Williams, Khloe Kardashian, and Marsha Ambrosius.Her digital platform and movement attracts a large following, and she was recently honored with a six-week campaign on the main billboard in Manhattan’s Times Square. Victor is a certified website designer and developer, who has worked on various projects for small businesses, corporate entities and celebrities over the last few years and has journeyed through different institutions earning certifications from APTECH worldwide, Udacity, Coursera, W3schools and more. With proficiency in HTML, Javascipt, CSS and PHP, Using design tools and softwares like Adobe Dreamweaver, Photoshop, Illustrator, and Open-source software like WordPress, Joomla and other Content Management Systems to create great online platforms for clients, making it easy for them to have the required online presence. Vanessa is a digital & social media aficionando, blogger and founder of the Ztallion brand, a social media agency providing innovative solutions to small business owners to take advantage of using digital technologies for their businesses. She provides creative ideas to boost brand reputation online, while creating strategies to give clients an edge over competitors. With the foundation and Academy, her passion lies in empowering emerging entrepreneurs and youths to leverage on the power of digital/ social media to support their overall business objectives and marketing strategies. Peter is an artist whose music bridges the gaps between pop, rock, and traditional singer/songwriter styles. a soulful vocalist/guitarist Between his sleek vocals, rhythmic artistry, and storytelling chop, Peter as been described as the: “Bruce Springsteen of our generation.” “Fear of Landing,” a track featured on Peter’s “Don’t Let Me Be Alone” album, got a thumbs up from acclaimed producer Steve Lillywhite. The song has since gone on to appear in the film #50fathers while “Tailwind (It’s a Beautiful Day)” and his latest single, “Like We Do,” received high praise. Peter Kelly is a major game-changer in the pop community. Definitely one of the most brilliant and hardworking talents to come out of Africa, and constantly sought by the media. This Nigerian Diva needs little introduction. Stella Damasus is a woman of many parts. A multi talented Award Winning Actress, Dancer, Singer, Speaker, TV & Radio Host, Acting Coach, Activist, Blogger, Educator, Vlogger, Producer and Humanitarian. Having over 100 films under her belt, and has worked with some of the greatest entertainers in Afric. She has been acting for over two decades and is the Founder of the Stella Damasus Arts Foundation, ADIVA and is the Co-Founder of Index Two Studios, i2Radio and Mon Afrik TV. With a rich sound drawn primarily from his love of 60s and 70's music, Scott Krokoff weaves elements of folk rock & country pop into a confessional and compelling Americana. He is an evocative and introspective songwriter and a deft finger-picker whose intimate recordings document his passion for music and brim with lovely and tuneful revelations that proselytize the art of taking risks in life. His latest record, 2015's Realizations & Declarations, Vol. 2, has received rave reviews praising Scott's "terrific imaginative powers" and "melodies that'll have you humming for days. Iconic in stature and essence, Chidi Mokeme has carved out a permanent place in the African entertainment scene. Popularly called 'GQ' for his unique and individual style, this award winning actor has managed to redefine and reinvent himself over the last 25years of his career through the brand extensions he creates for himself. As actor, TV host, Transformational Speaker, Lifematician, philanthropist, Serial Entreprenuer, Creative director of GQ WEARHOUSE, Chidi Mokeme Foundation, and The RENEGADE GROUP, this believer in 'Conscious Living' continues to reveal distinctive creative depths. Nina Bingham is an Author and Life Coach in Oregon. Since 2003 she's coached 23,000 men, women, couples and children with a wide variety of issues. Academically Trained-Degrees in Psychology and Mental Health Counseling, Also a Certified Clinical Hypnotherapist with American Pacific University. Proven Mental Health Professional-Awarded QMHA (Qualified Mental Healthcare Associate) by the State of Oregon. she has also published 5 books, and hosted her own international Life Coaching show. Nina will inspire you to be your most creative, productive self.  is a Nigerian, brand strategist, public speaker and businessman. He is the principal consultant of ADSTRAT Branding Management Consortium, an alumnus of the University of Witwatersrand, Johannesburg, where he bagged Certificates in Management and Measuring Organizational Strategies, Product Strategy and Brand Management. He is an Associate Member of the Advertising Practitioners Council of Nigeria (APCON) and an Associate Member, Nigerian Institute of Public Relations (NIPR) and the brain behind BrandsArise . He is undoubtedly one of the very best hands in the Nigerian Film industry and has proven himself, not just as an Actor and Writer, but also as a Director and Producer. A Dramatic Arts graduate from the Obafemi Awolowo University where he majored in Directing, John Njamah has featured in countless theatre plays, television and film productions, both in the capacity of an Actor and as a Director, with a number of prestigious awards to show for it. Don't Fit In With The CROWD. Its Time To STAND Out! Don't Sit on The FENCE! Jump on it NOW! KEYNOTE ADDRESS: "Mastering of Creativity And Reinventing Yourself in The Digital Era"
"How To Optimally Monetise Your Blog & Vlog Content & Cash The Moolah..."
PODCASTING: "Journey Through The Lens Of Podcasting As A Side Business - Balancing It With A Corporate Day Job.."
ERICA GORDON - Best Selling Author, Host of MOMS WITH DREAMS PODCAST & Side Business Strategist. PODCASTING: "Doing Your Research, Picking an Angle & Asking The Right Questions..."
BOOK PROMOTION: “Spreading The Word, Launching The Book and Making Yourself Famous"
BOOK WRITING: "10 Tips to Help You Organise Your Book Writing Schedule.."
WRITING STYLE: "Creating Your Own Signature Writing Style..."
WEB & GRAPHICS: "Creating Your Own Virtual Home - Your Own Brand Website..."
"Social Media Strategy A-Z for Creatives..."
MUSIC: "Song Writing, Lyric Writing and Musical Arrangement..."
FILM: "How Creatives Can Have The Billionaire Entreprenueral Mindset - Combining Art & Business..."
NINA BINGHAM – Author, Life & Meditation Coach & Founder of Living Enlightened. MANAGEMENT: "Effective Talent Management to Ensure Creativity & Profitability..."
COPYRIGHT: “Protecting Your Intellectual Property In The Digital Space..."
for 6 days of CREATIVE bliss. GRAB a ticket, tell a friend, and get ready. This is going to be epic! The Good Radio Network advocates for a socially conscious world and are purposeful and driven to that end. While they are a TALK radio station, they recognize, ‘Talk is Cheap’ and decided to create a different landscape for their network. ACTION is what gets things done and they are Activists- in a good way!. 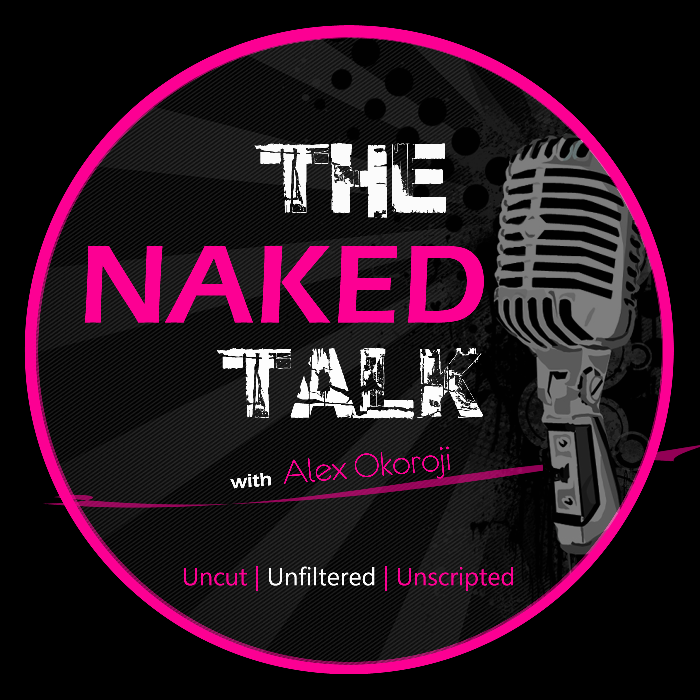 The NAKED Talk is a LIVE Unscripted Globally Syndicated Talk Radio Show chronicling real authentic conversaions with Influencers, Global Icons and World Changers on their thoughts and experiences. The Women Of Rubies digital magazine serves as a capacity building platform to help women discover what they were born to do and bring to the front burner examples of women who are succeeding and balancing the home front. HaiRVolution Magazine has positioned itself as the voice of the creative hair industry in NIgeria and the rest of the globe, celebrating hair, hairstyles, hair stylists, hair stories, hair products, hair techniques, hair lifestyle and everything hair. It is simply the hair side of life. She Matters Movement is a global initiative dedicated to providing a platform to enhance, expand, and enrich the lives of women and girls around the world, as well as effectively change the way that women and men work to reach a collective goal. 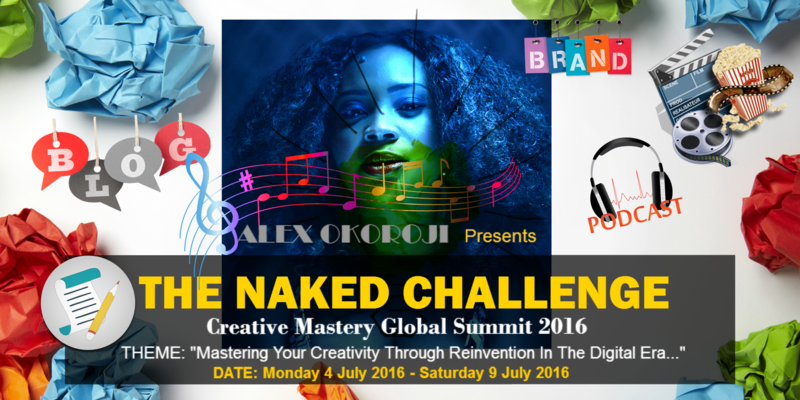 THE NAKED CHALLENGE is an EMPOWERMENT series of Live Webinars, Tutorials and Online Events facilitated by Alex Okoroji to MOTIVATE people out of the back burners, in to the spotlight as they REVEAL their talents, skills + vision & CHALLENGE themselves into Greatness. Alex Okoroji is the QUEEN of EXPRESSION - a Nigerian Actress, Writer, TV Personality, Talk Radio Host, Speaker, Author, Podcaster & Self-help Mentor with over 10 years of professional experience as a Media Personality, Content Creator & Creative Entrepreneur. She is the Founder of THE NAKED MOVEMENT, THE NAKED BLISS ACADEMY and ALEX' BLOG COMMUNITY (ABC). She is also an Advocate for EXPRESSION & a Multi Platfom Ambassador for Self Empowerment and Transformation. "RT @mycobacteriuma: @MoniqueHohnberg best wishes for your speech tomorrow at #TNCsummit. i am sure it will be a great speech , loved by one…"
"Not sure when the #TNCsummit goes LIVE? Subscribe HERE - https://t.co/nIzrlsTt0z to get a buzz when we do. See you in a bit guys!!!!" "OKAY - In 30mins EXACTLY I'm on speaking live at https://t.co/R63jIQ8zWB Register now and get a free sneak peek. Cheers! m #TNCsummit"
"RT @MoniqueHohnberg: OKAY - In 30mins EXACTLY I'm on speaking live at https://t.co/R63jIQ8zWB Register now and get a free sneak peek. Che…"
"RT @stelladamasus: Hey people! Time for the #tncsummit I am there already. @AlexOkoroji"
"Hey people! Time for the #tncsummit I am there already. @AlexOkoroji"
"Join us on blab right now for #TNCsummit"
"RT @scottkrokoff: Day 1 of the #TNCSummit is tomorrow! As a reminder, I'll be speaking on Day 5 (July 8)! 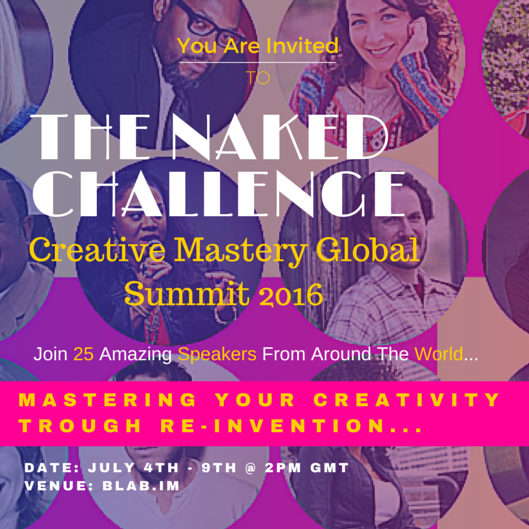 https://t.co/UKVs6TQF2h"
"Join me at the The Naked Challenge Summit #TNCSummit tomorrow! Get your pass now! https://t.co/dpdopXG4aP"
"Happy to be a speaker at the The Naked Challenge Summit #TNCSummit tomorrow! Get your pass now! https://t.co/PAfyDtA5EJ"
"RT @FeliceCohen: Are u an established or aspiring writer? Do u want to #CHALLENGE yourself to greatness? Register👉 https://t.co/6LKUH3CroO…"
"Honored to be a speaker at the The Naked Challenge Summit #TNCSummit tomorrow! Get your pass now! https://t.co/hYrznPXxtD"
"Congrats to WINNER @rumeh_ejoor today! #tncsummit #Reinvention"
"RT @AlexOkoroji: Uh! I've created an audio version of my 10 #Success Principles for CREATIVES! Exclusive to #TNCsummit registrants.🎧👍 https…"
"RT @AlexOkoroji: Thank you to my awesome speakers @MoniqueHohnberg @maura4u @maxwellivey you rocked Day 1 of #TNCsummitLIVE. Geez! Value BO…"
"RT @AlexOkoroji: If you missed awesome DAY 1 of #TNCsummitLIVE Go👉 https://t.co/ebwXOLXHXo to WATCH replay w/ speakers @MoniqueHohnberg @ma…"
"RT @AlexOkoroji: Thank you @iamztallion . You must be exhausted from all that work at Day 1 of #TNCsummitLIVE . You are AWESOME. Great Job…"
"RT @stelladamasus: Join us on blab right now and take advantage of the 4th of July giveaway. #tncsummitlive with… https://t.co/c5V88jMz3o"
"RT @LeTonyaMoore: Mix up content for masses and sealer groups #TNCSummitLIVE"
"RT @thegoodradionet: Always ADD Value straight away with your tweets! I just learned this and more here: #tncsummitlive https://t.co/U8S406…"
"RT @iamztallion: Im great you did.....I am too... #TNCsummitLive https://t.co/afP6mSWqrM"
"RT @AbiOpal: 😃 Excited 2b attendin the naked challenge summit hosted by @AlexOkoroji.Thx @stelladamasus .#TNCsummit check it out 👍"
"RT @iamztallion: For the #TNCsummitLive on Blab, It’s recommended that you log in w/ your Twitter account so it’s easy to share to your Twi…"
"RT @AlexOkoroji: Thank you to the amazing #SheMattersAmbassador & founder of @DjivaPrinciples for supporting @NakedChallengeU #TNCsummit yo…"